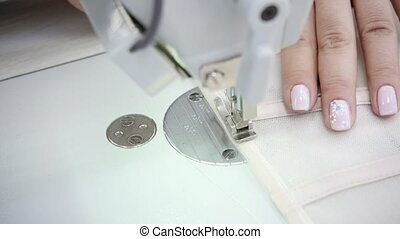 Close-up of sewing machine, stitch thread seam. 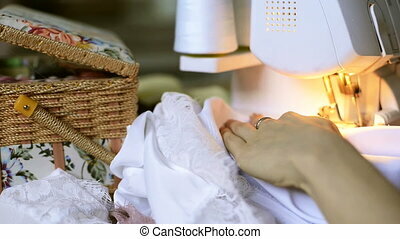 equipment for sewing elegant wedding dress. hand made. 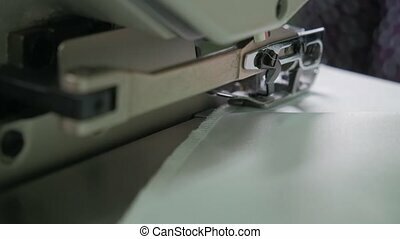 Close-up of sewing machine, stitch thread seam. 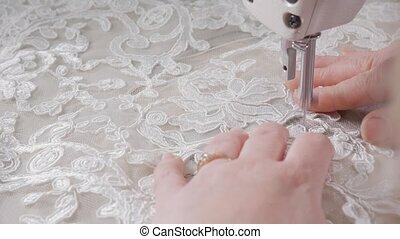 equipment for sewing elegant wedding dress. 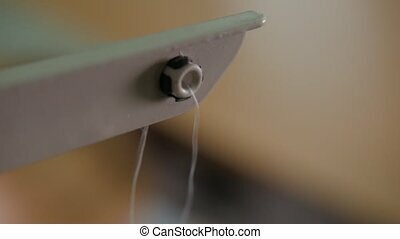 The needle of the sewing machine sews on a blue textile. 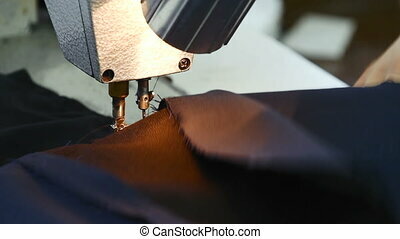 Worker sews leather for shoe production. 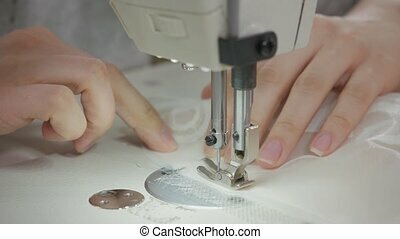 Woman s hand working at the factory with thread. Sew on sewing machine. 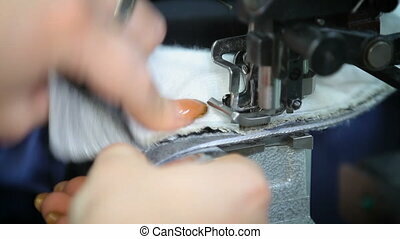 Closeup of seamstress machine-sewing a navy blue jacket. 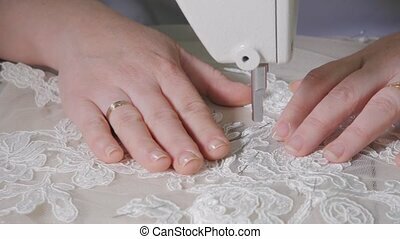 Stitching several pieces of fabric into one piece. 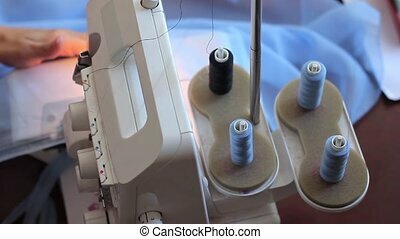 Close up of woman sewing clothes. 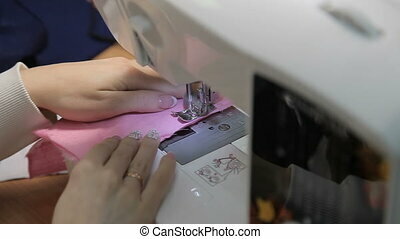 Seamstress works on sewing machine. Woman treated tissue using overlock. 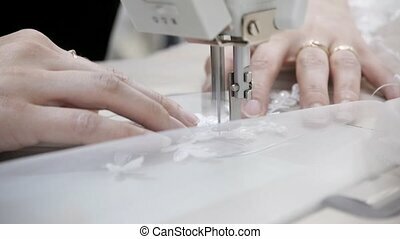 Sews close-up. 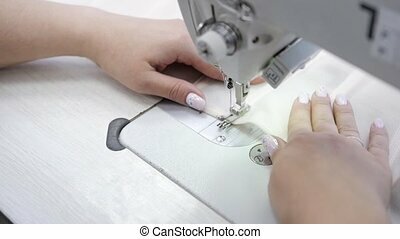 seamstress exposes exactly fabric under needle to stitch on sewing machine. 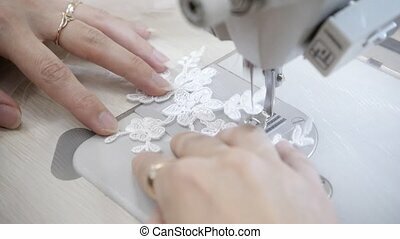 Professional sewer in black dress sits on chair sews lace beige cloth for underwear works, adds detail to equipment, switches on light. 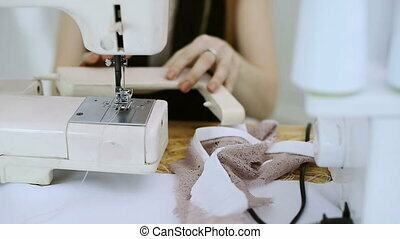 female works in field of fashion design lingerie. Modern designer tailor clothes for model. Textile Production Spinning reel with threads. Stitching several pieces of fabric into one piece. 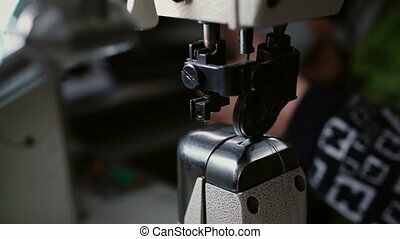 Hands sewing machine in a factory manufacturing clothing. 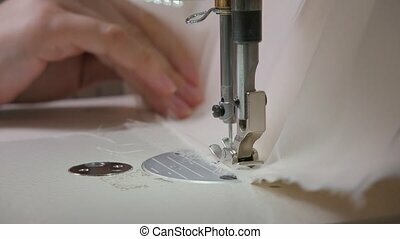 Tailor sews clothing on sewing machine. 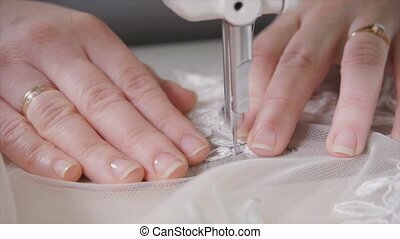 Closeup of adult female hands seamstress at work. 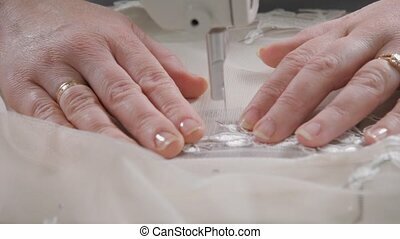 Seamstress sews satin fabric on overlock inside atelier. 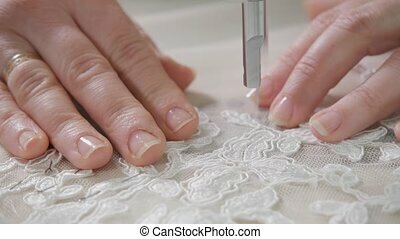 Close up view on hands of tailor, young woman, with beige nails and rings on fingers, professionally and quickly stitches edge of white, laced tissue, controlling thread tension. Box with threads, needles and sewing accessories, stands on table next to workplace. On background unfocused space of atelier. Handmade and craft concept. close-up of needle and thread, embroider pattern. 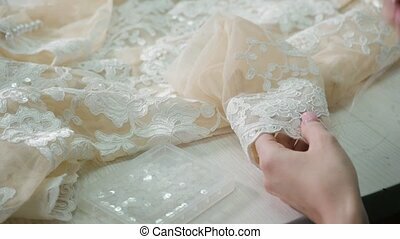 Equipment for sewing elegant wedding dress.